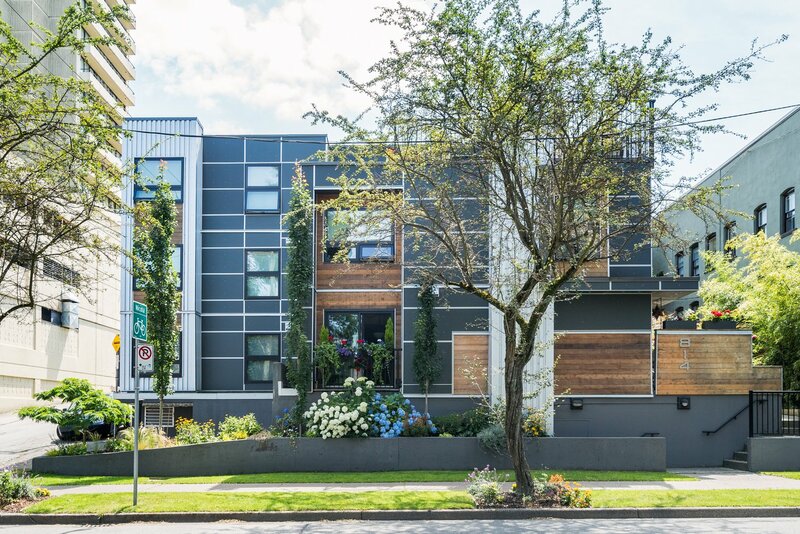 Modern and unique 6-unit architectural building located in the Westend, which was rebuilt and converted to strata in 2011, including a new exterior, roof, mechanicals, and more. 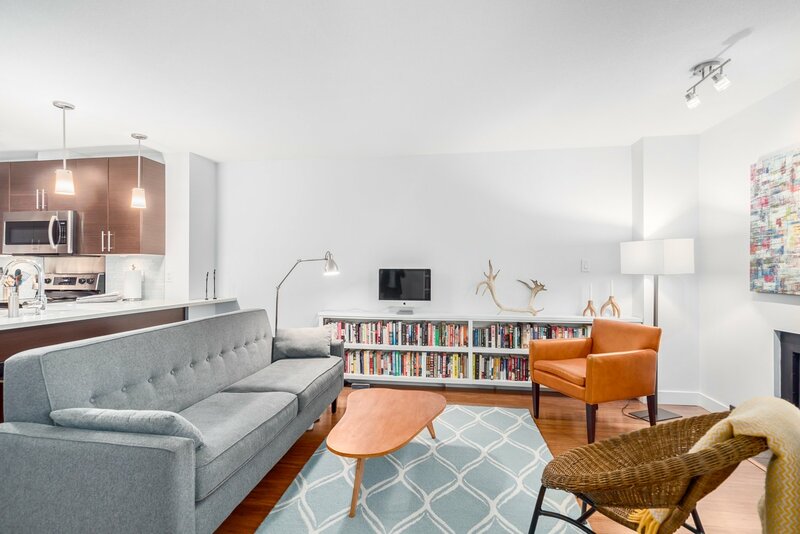 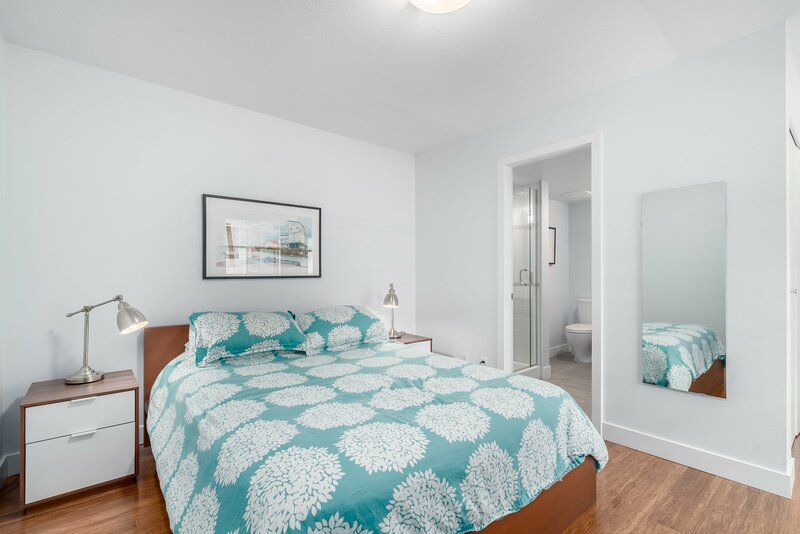 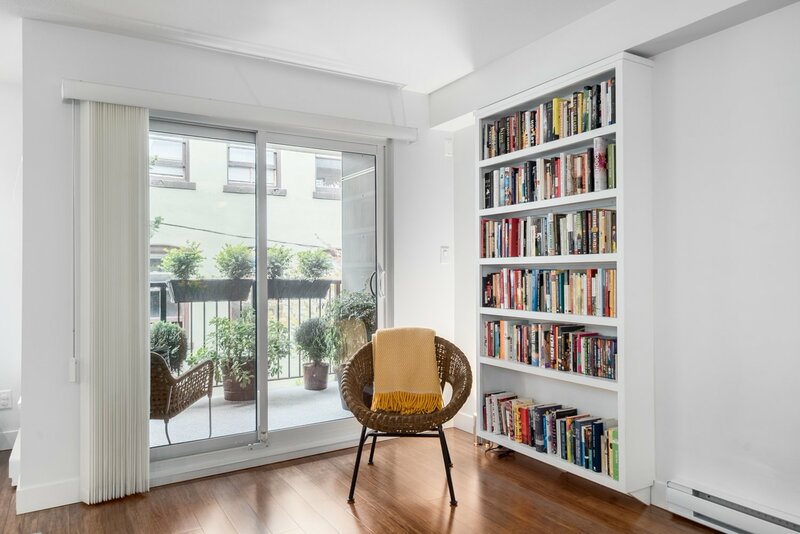 This spacious 2 bedroom, 2 bathroom, 950 sq.ft. 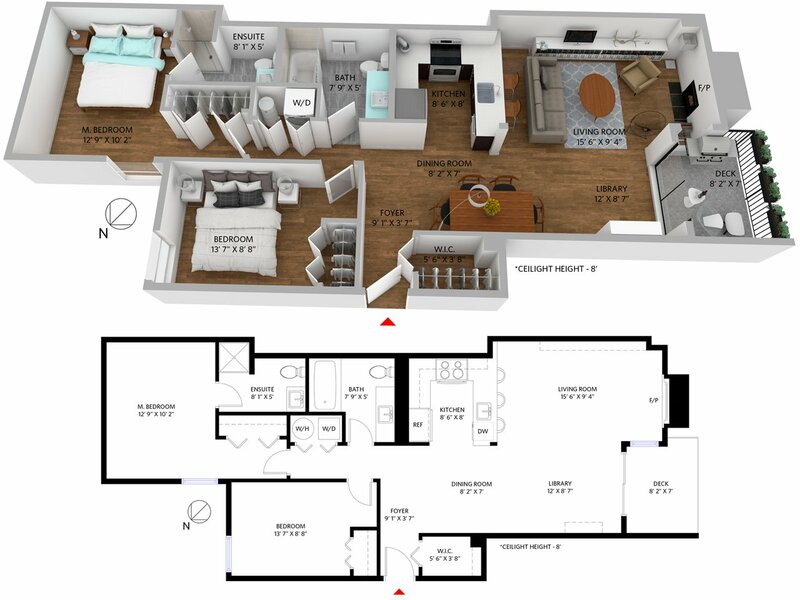 top level suite features large room sizes, wide open living/entertaining area, clean lines, and a functional layout. 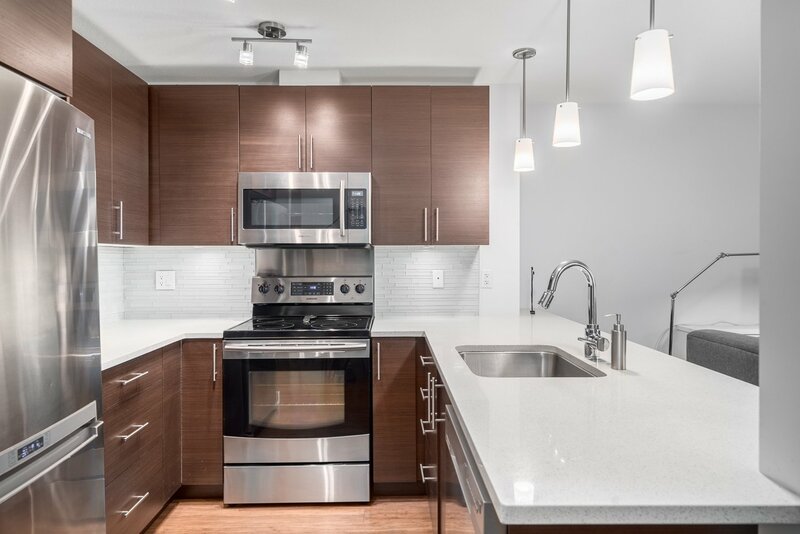 Fine detailing include wood flooring throughout, a modern kitchen featuring stainless steel Samsung appliances, and quartz countertops. 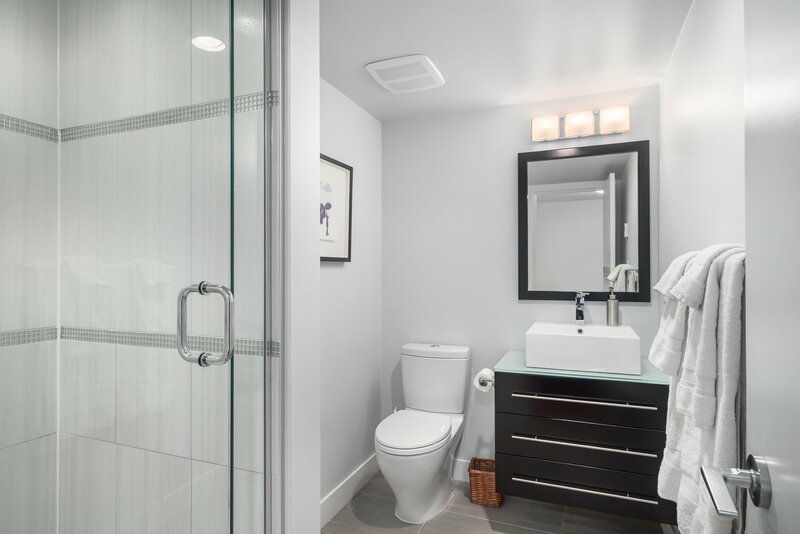 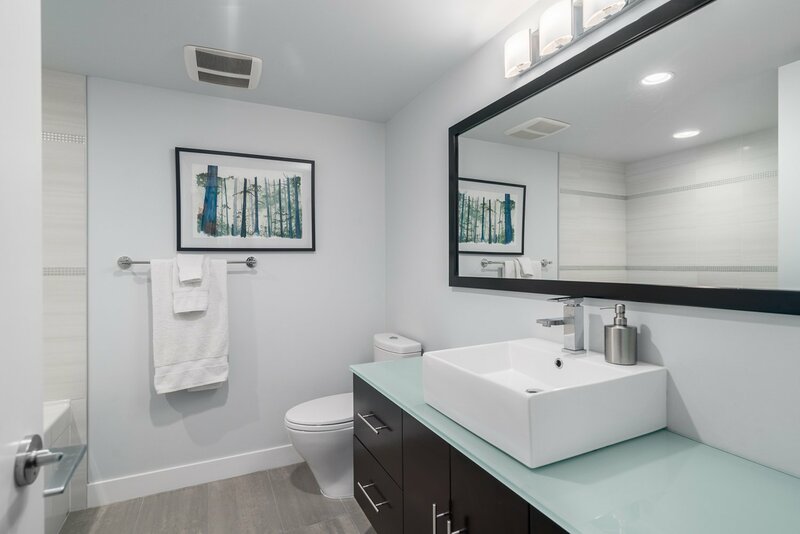 Each bathroom is equipped with floating style vanities and modern fixtures. 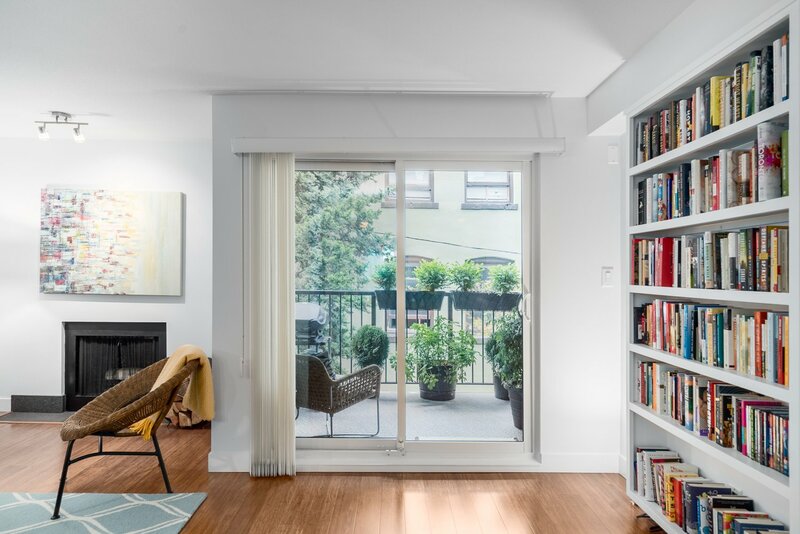 The wide living area has a wood burning fireplace and access to a private 57 sq.ft. 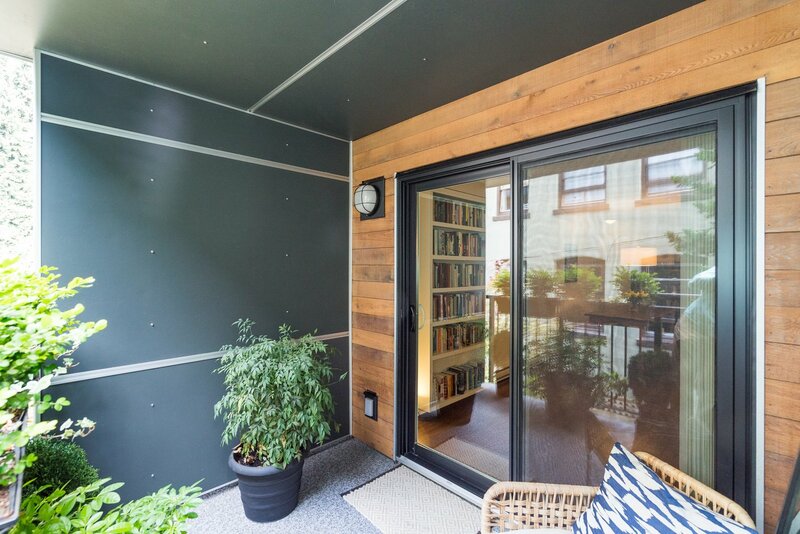 patio facing a green European style courtyard. 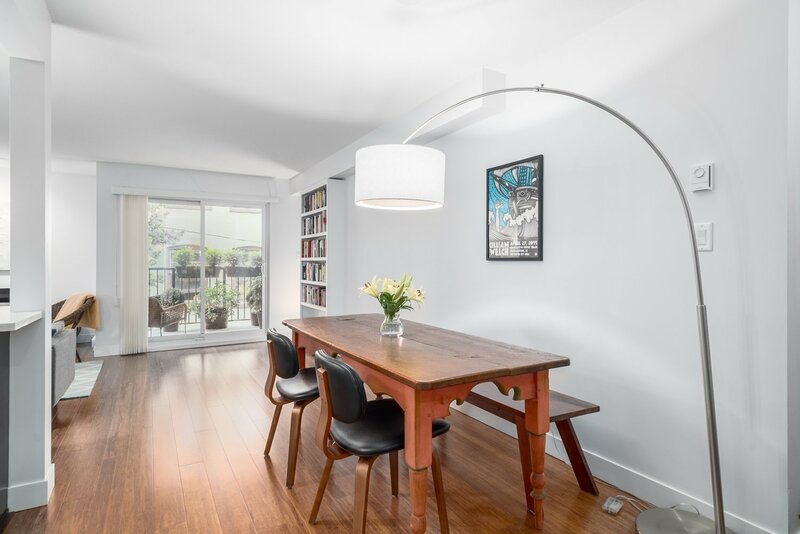 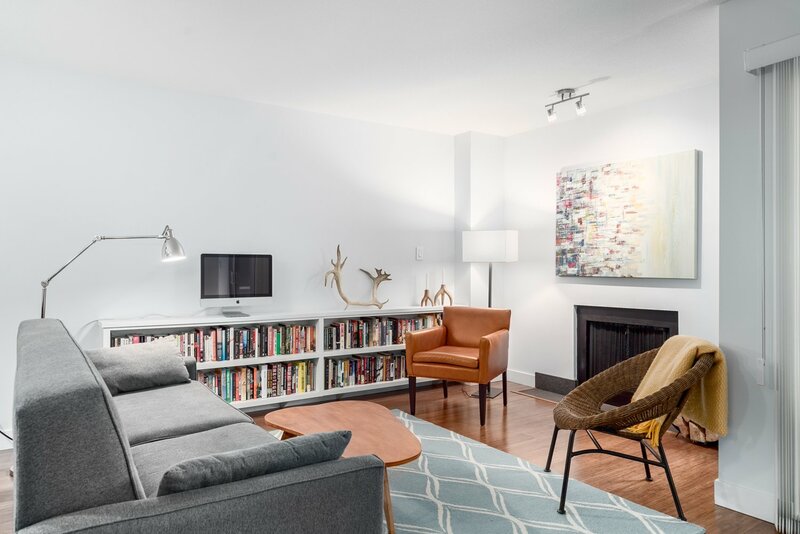 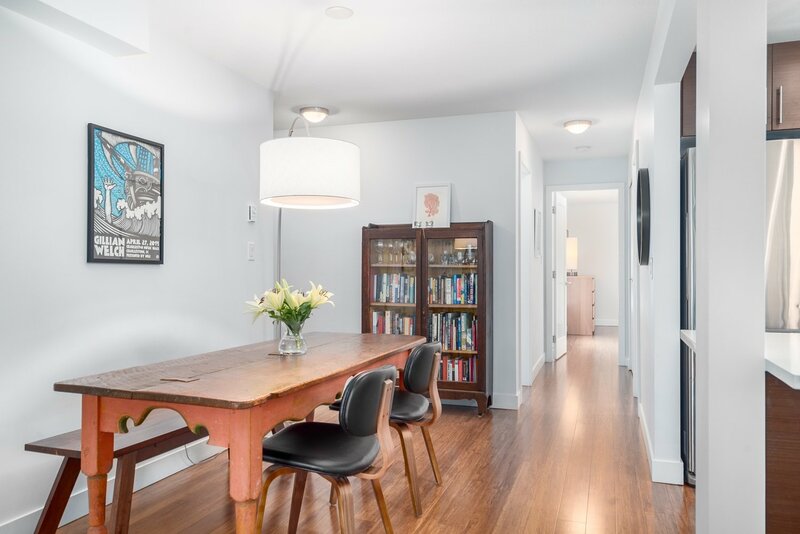 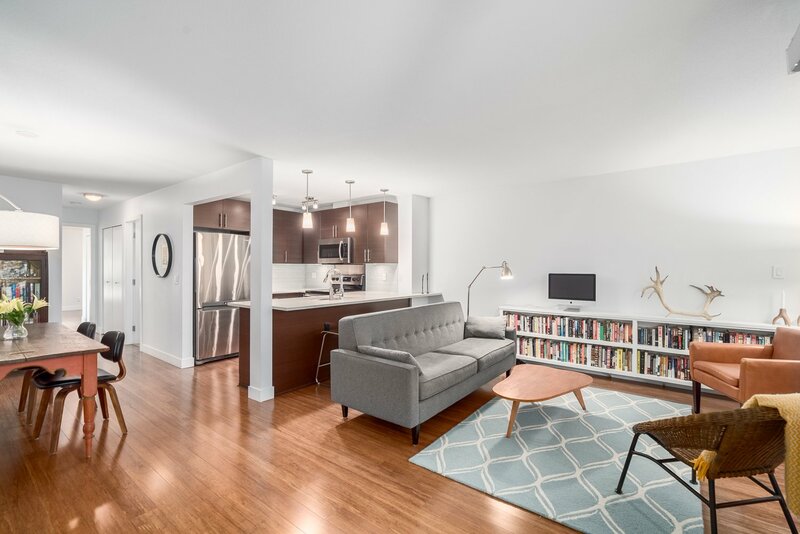 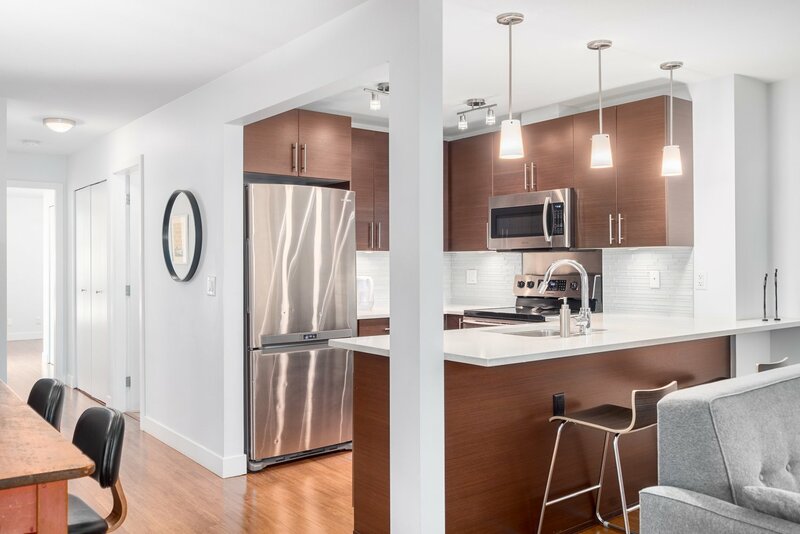 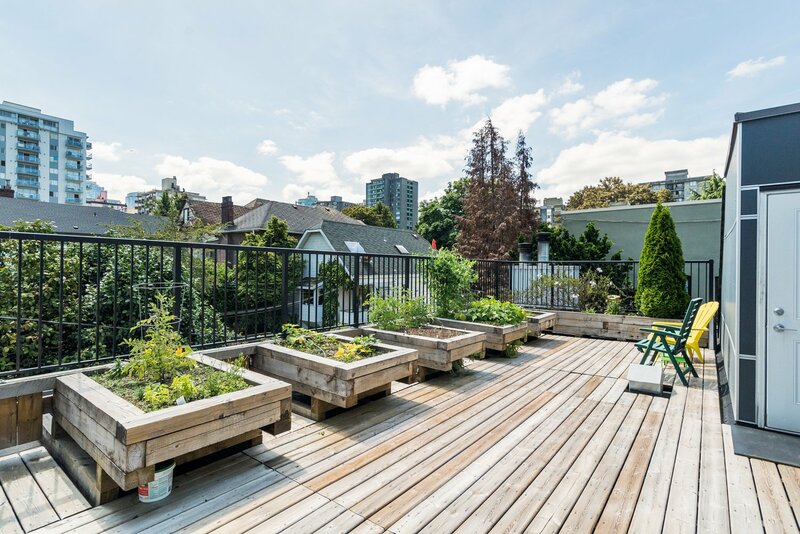 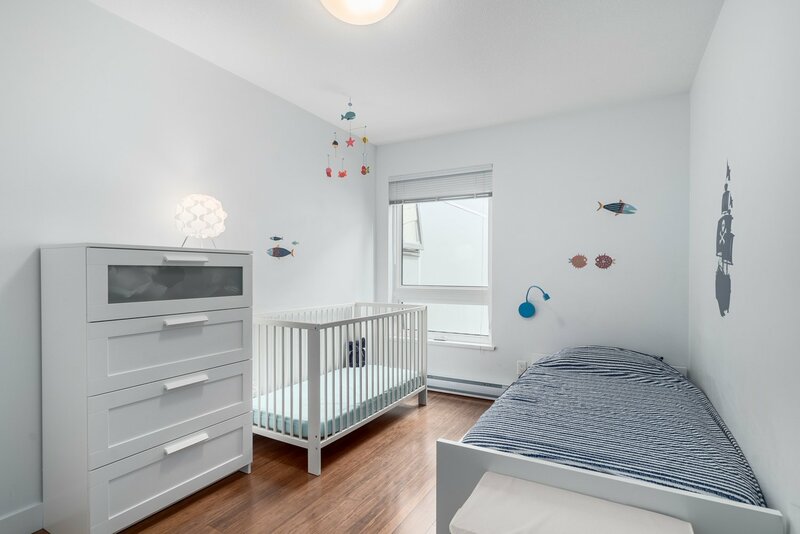 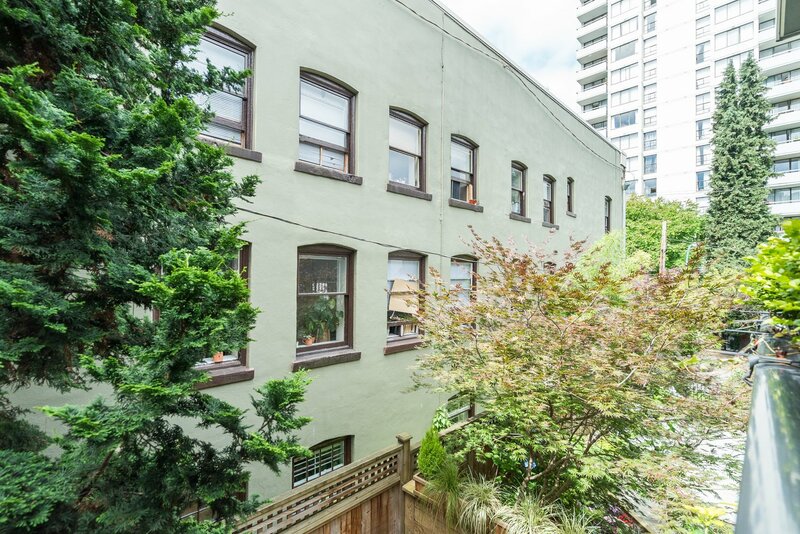 A very quiet home in a stylish building that has a common rooftop deck with individual garden plots, 1 parking stall, and 1 storage locker for this unit. 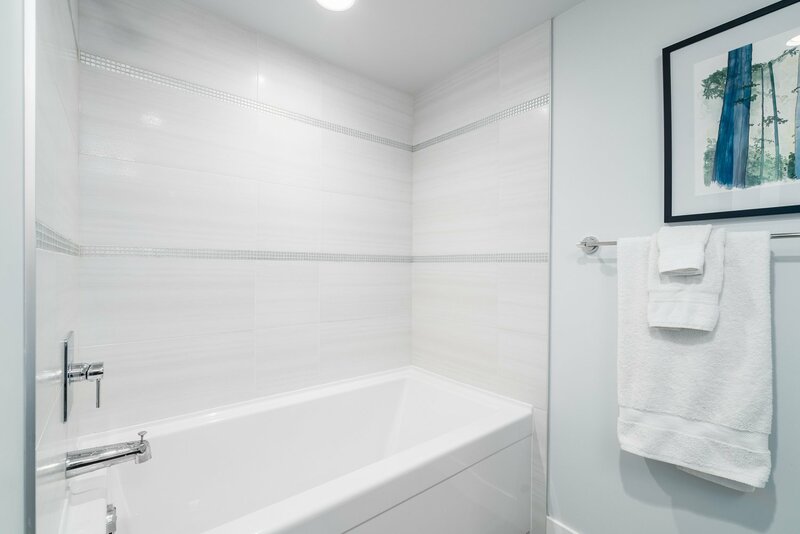 Pets and rentals are allowed. 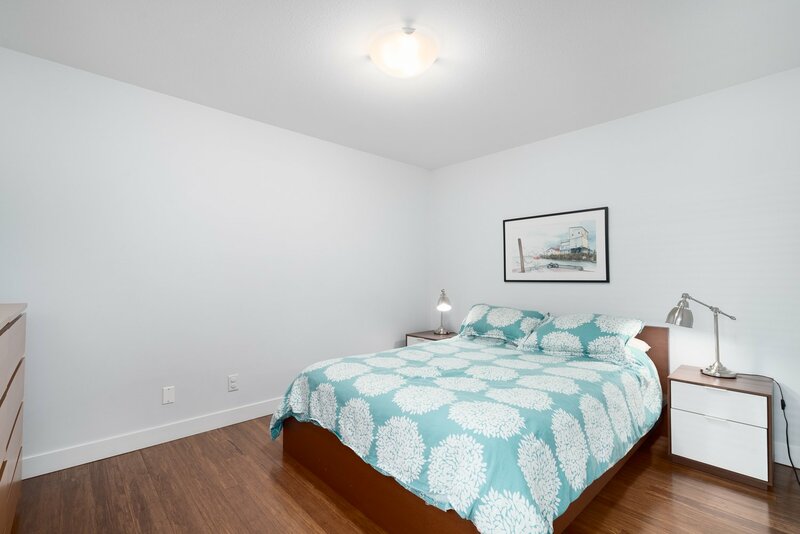 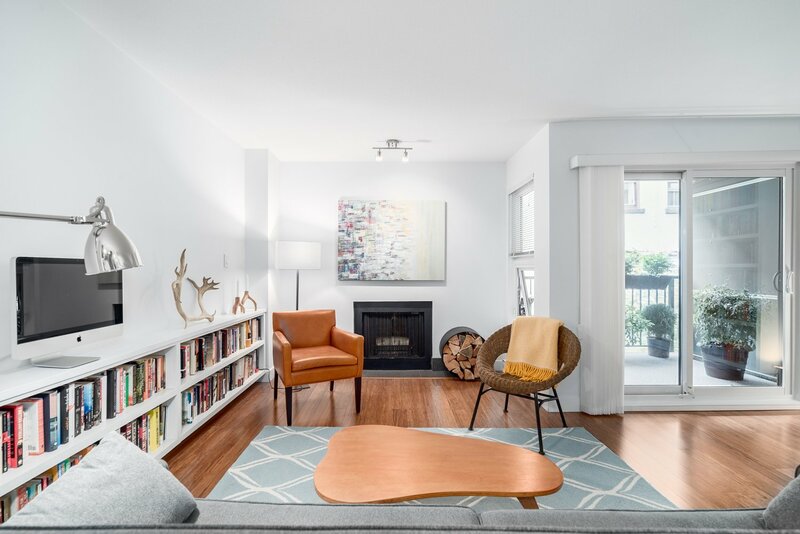 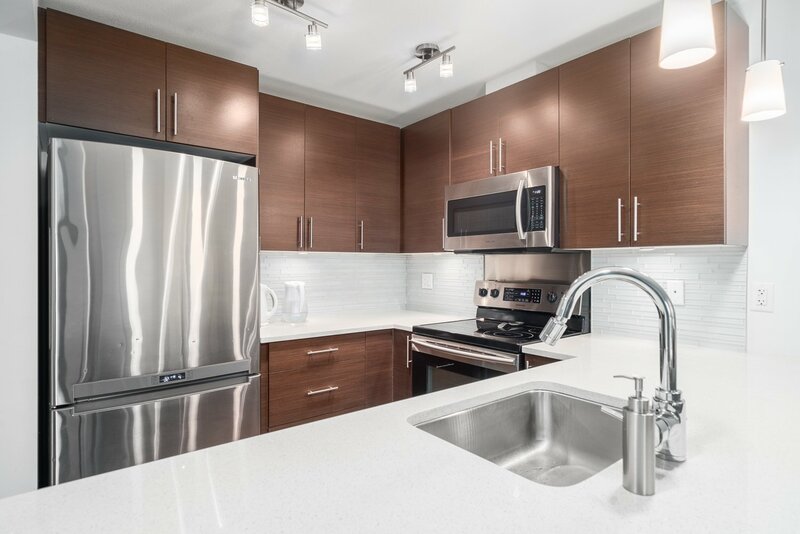 Located on a quiet street and steps away from Robson St, Parks, and 6-blocks from the Coal Harbour Seawall.